Paul O'Brien, author of The Visionary I Ching: A Book of Changes for Intuitive Decision Making, announces that Huaxia Publishing House, a state-owned publisher in Beijing, Ching will print and distribute a Chinese translation of his modern version of the Taoist classic. It’s a sign of cultural evolution that the authorities can now differentiate between superstition and a psychologically sound method that is a native way of accessing intuition. Paul O’Brien, author of The Visionary I Ching: A Book of Changes for Intuitive Decision Making, announces that Huaxia Publishing House, a state-owned publisher in Beijing, China will print and distribute a Chinese translation of his modern version of the Taoist classic. The contract was signed September 2017. The projected date of the Chinese book’s launch is Spring 2018. The Visionary I Ching is a modern and elegantly illustrated adaptation of the ancient Taoist divination system known as the I Ching, or Book of Changes. More than a book, it is a system to stimulate the intuition around problems that logic can’t handle, to help leaders and individuals think outside the box to manage change, make strategic decisions, improve timing and reduce stress. 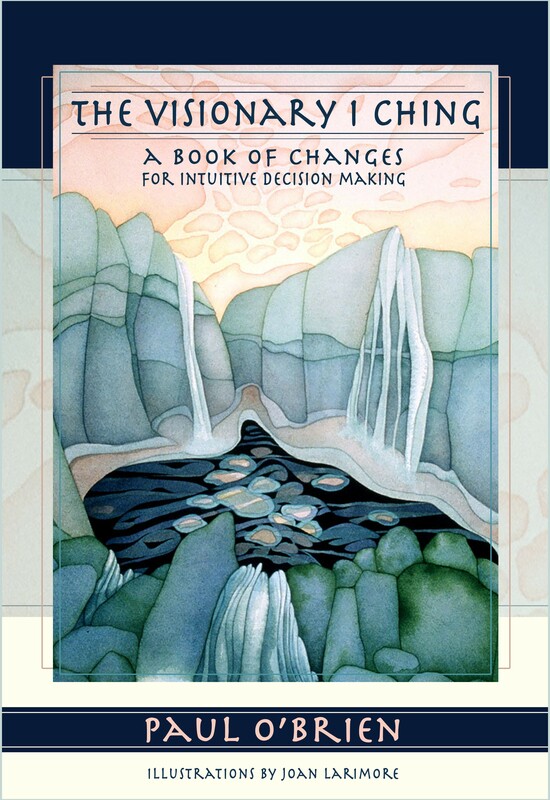 The Visionary I Ching is a masterful adaption that includes original evocative paintings by Joan Larimore for each of the 64 chapters, or hexagrams. The text is a modernized upgrade of the archaic patriarchal language, while preserving the essence of the Taoist classic’s timeless wisdom and advice. 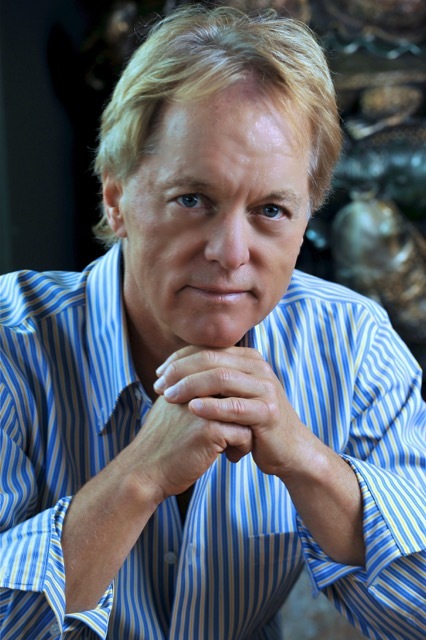 Paul O’Brien has a distinguished career consulting and teaching the principles of the I Ching. O’Brien created the first I Ching software program in 1989, which was named “Synchronicity” after Carl Jung’s famous principle that describes how it works. That was followed by the “Oracle of Changes” I Ching CD-ROM in 1997, and the I-ching.com website featuring an online interactive I Ching. The site evolved to include Astrology and Tarot and adopted an addition domain name, Tarot.com. The Visionary I Ching intersects high-tech, Jungian psychology, and America’s own cultural revolution stemming from the 1960s. After spending decades using and developing the I Ching as an intuitive decision-making aid, Paul O’Brien was honored to have been invited to China for the past two years to speak at conferences and even explore the principles of the I Ching with PhD students studying Taoism at the China Academy of Social Sciences in Beijing. Like O’Brien’s speeches, the publishing of a western I Ching book by a Communist-owned publishing house is emblematic of an emerging movement in Chinese culture. After nearly 70 years of suppressing all spiritual and religious viewpoints, Chinese society is opening up to Taoism and its great classics, including the Book of Changes. O’Brien’s more recent book Great Decisions, Perfect Timing—Cultivating Intuitive Intelligence illustrates the author’s quest for better decision-making and good timing with his own amazing success story. This book, which includes a chapter on the I Ching, shows how nothing affects the probability of our success and happiness more than the quality of the decisions we make. The philosophy and practices in this book provide a catalyst for manifesting success in all areas of life, ultimately achieving a synchronistic lifestyle marked by abundance and joy—by means of a discriminating intuition and the sublime development of a superior sense of timing. Paul O’Brien is known for inventing the divination software category with the development of the Synchronicity I Ching program for Macintosh in 1989. This evolved to eventually turn into the world’s largest astrology and divination website (Tarot.com), which was acquired by a large media company in 2007. He is the author of three books: The Visionary I Ching; Great Decisions, Perfect Timing; and Divination. Paul has been the host of Pathways, a radio/podcast interview program focused on personal and cultural transformation for over 30 years. For more information about his groundbreaking works visit http://www.Divination.com.